This 50 minute lesson introduces the foundational principles of representational art and demonstrates how each one applies specifically to the subject of painting. These four principles (Drawing, Value, Color and Edges) guide every decision that the artist makes during the painting process. This lesson introduces and demonstrates how to use all four principles by painting a simple apple. Some of the topics that are discussed include: establishing reference points when painting; measuring accurately; thinking in terms of shapes; value relationships; using complimentary colors; warm and cool colors; incorporating a variety of edges within a painting. Brian Neher is a professional portrait painter whose work has been featured in American Artist Magazine and on national television. He has studied under world renowned portrait painter, Joe Bowler, and his paintings can be seen in both private and corporate collections throughout the United States. Brian has developed a series of instructional courses which focuses on teaching the foundational principles of representational art by demonstrating how each one can be applied directly to the art of painting. When understood and applied, these four principles are what govern every decision that is made during the painting process and give the artist the freedom to better communicate his message to the viewer. 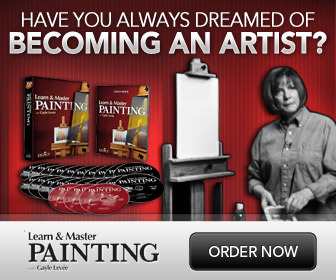 These videos are designed for beginners and advanced painters alike. Each course is available in DVD format or as a digital download.